You probably got here by following a midforc.org link, a website that has not been live since 2008. The midforc.org domain name now redirects to this site, and over time you will find similar content here. Some of the content on the original midforc.org site was captured by the WayBack Machine and you may be able to find what you expected there. 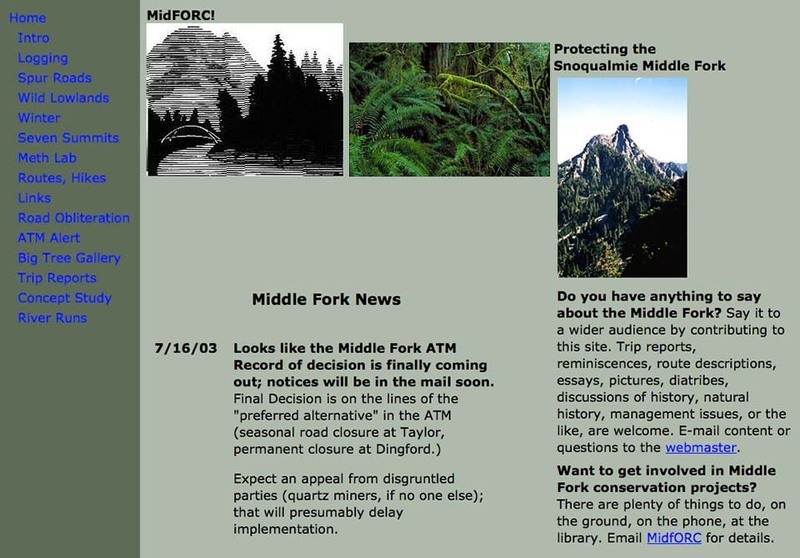 The name “midforc” stands for Middle Fork Outdoor Recreation Coalition, a loosely knit group of volunteers that organized in 1993 to help clean up the Middle Fork valley. 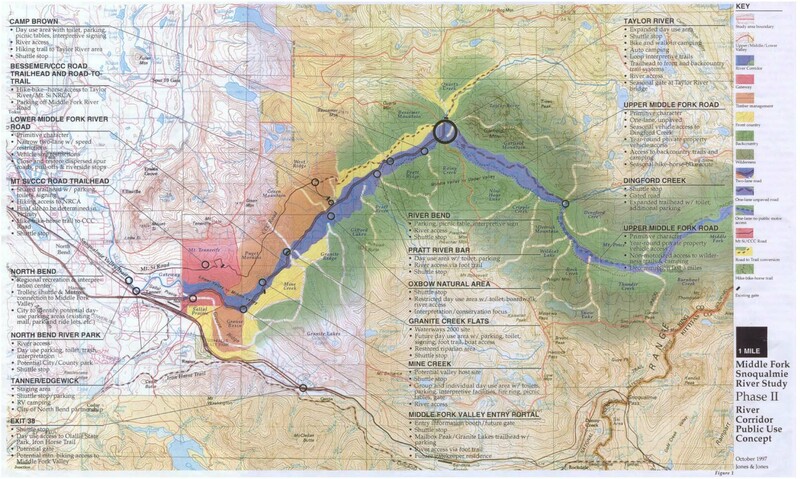 Working with other organizations such as the Mountain To Sound Greenway and American Whitewater they developed a detailed conceptual usage plan for the valley in 1997 and over the succeeding years were successful in implementing many of its key proposals. 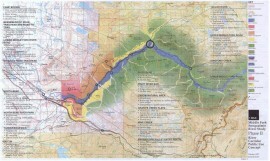 The midforc.org website advocated strongly for the Middle Fork ATM plan that the Forest Service finalized in 2005, resulting in allowing bikes on the Middle Fork trail (odd days, seasonally), decommissioning and/or blocking off old logging roads, and most controversially, gating the Middle Fork road at the Dingford trailhead.